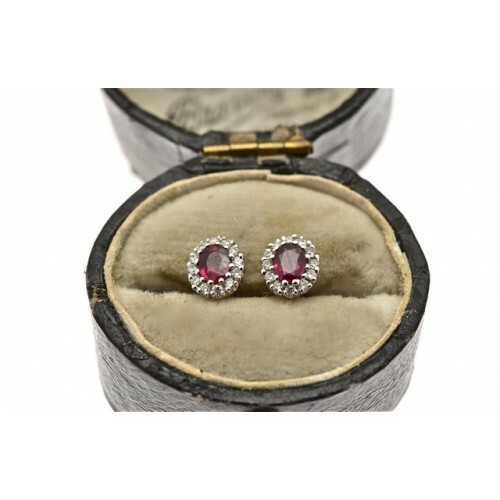 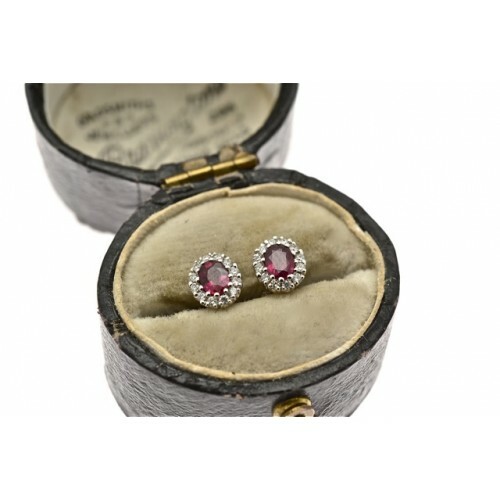 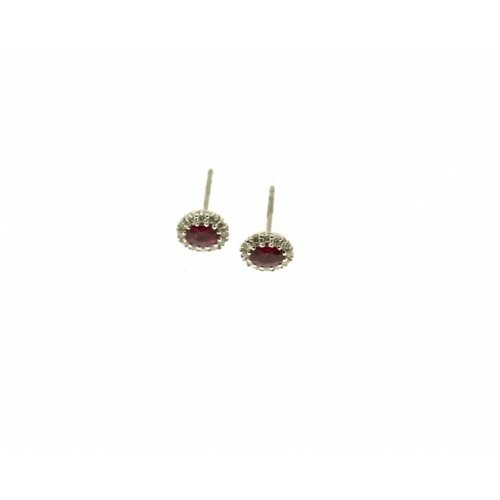 18ct white gold, ruby and diamond oval cluster earrings. 18ct white gold, ruby and diamond oval cluster earrings. 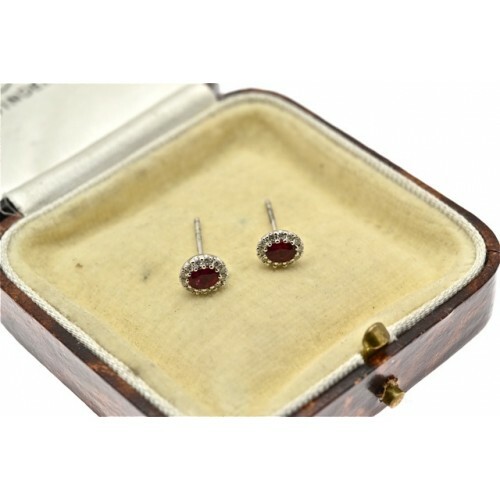 The rubies weigh .41cts and the diamonds amount to .13cts with a claw setting.